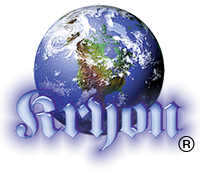 "Soul Communication Part I "
Greetings, dear ones, I am Kryon of Magnetic Service. My partner steps aside. What you are seeing and hearing right now is called channelling and it's mysterious to many. For us, it's beautiful, and it's a method whereby the multidimensional source of creation that many of you call God has a chance to communicate with that which you have called humanism. We call this process soul communication. This is a different process, dear ones, than Human communication, so we would like to start a series of channellings that will include the explanation of this process. We have said it many times: We know who you are in this room and "this room" includes those who are reading and listening. Dear ones, I want to teach tonight, but not without first acknowledging the family who is here. I want to teach you about you. Everything I'm going to teach from this chair is without my partner's prior knowledge. He doesn't know what's coming. He has practiced not knowing what's coming for many years. He's practiced allowance without filters, and I'm going to eventually explain that phrase. I'm opening this portal that you call channelling to allow for a third language to come flowing in, which many of you can feel in a multidimensional way. This language is not with words and it's not linear. Even so, some of you will receive it. This particular message today is being published and some of you are listening and reading it. This third language is open to you as well, for I know of the potentials of who is listening and reading. Odd as it may sound to you, this is part of the multidimensional information that God has, being at the central source. The potential of your very awakening, and the fact that you would look at this message, was always there. We see potentials as reality even before they happen, for potentials drive another kind of reality. Ask a quantum physicist about that. We're going to start with some basics. Human consciousness is complex. There will come a day when your science may consider Human consciousness as a branch of physics. This is because it does not follow the patterns of known linear physics or even the patterns of quantum physics. Consciousness is a synchronized energy that has structure. It has quantum patterning (as you will eventually find out), but it doesn't have a set of logic rules. Instead, it is biased by the Akash of the individual Human Being. It's complicated, and it's the only synchronized and coherent energy known to have its own agenda, its own personality and the ability to communicate. So it's the study of "living physics". Since Human consciousness carries with it attributes of the soul, we can now substitute "soul consciousness" as the same thing, for they are one and the same. Trying to describe communications to and from this "living physics" goes beyond the limits of any understood science. It challenges you to think differently about everything. There are basically two ways of thinking about soul communication: (1) Communications from multidimensional sources to you, and (2) from the multidimensional parts of you to them. Right away, we acknowledge that you are capable of multidimensional communication, but you may not realize it. There is a strong difference between linear and nonlinear communications. When I have said this in the past, not everyone understands it. So I am going to explain it the best I can, in a way I've not done before. I want you to consider for a moment that you have a very old typewriter. This is the kind of older machine with paper loaded into it and with a carbon ribbon that allows you to see the characters as you type on the page. As you strike the character keys, the machine creates a visible imprint through the ribbon onto the paper. In this example, let's say you are typing along, and as you type, you see the characters on the page in a row, one after the another. Pretty soon you have letters turning into words, then sentences and then paragraphs, which form groups of similar thought. This is linear communication, and it's normal for you. In fact, it is how this very message is written to you, and it's how you are reading it - in a very linear fashion - words on a page in a row. Now, whether you are reading or listening, you are perceiving one word after another in the structure of the language of my partner [English]. It is, therefore, linear - one word after the other, like the typewritten words on this page. That is linear communication. That is Human communication, and it's how your brain works. Nonlinear communication would be as follows: Now pay attention, for this is going to be what my partner calls a stretch to imagine. Pretend that the typewriter is stuck in a way that you can type all day long, but it never advances the carriage to the left as you type. No matter how many characters you type, you are only going to get one unreadable single image - a big smudge, really. Every character is going to imprint itself over the last one. Now, what would you see on the page, dear one, at the end of a long letter to a friend? It would be a single character smudge! All the characters would be piled up, inking over each other, and you would have no idea what the communication was. You'd look at it, and you'd be sorry that the typewriter failed and you hadn't noticed. Now, consider for a moment that someone comes along who has full nonlinear communication skills. They could look at the smudge and see the whole message clearly! They're conceptual and nonlinear. They would see the thought that went into the message, and they would be able to see within the smudge. The characters and sentences are still there, dear ones. Remember? You typed all of them. But they're not there in a linear form. Instead, they're all together as a group [the single smudge]. A nonlinear communicator will see the smudge and perceive the entire message. Now, there's an attribute about this that is difficult to describe to you. It's out of the logic that you are used to, so let me try to explain it. My partner, go slowly so this will be understood [speaking to Lee]. When the conceptual, nonlinear person is looking at the smudge, they are looking at something that exists already. A message has been typed. So they're not making something up or guessing. Instead, they are simply reading something that already exists in a nonlinear way. The message has been written and all the characters are there - oddly presented in one smudge - but it has been given in your real time. There's an attribute of a nonlinear mind that you call autism that you should study. There are many autistic Human Beings who can tell you the day of the week for any year within any month. If you were to ask that person, "What is the day of the week for the 15th of the month in May of 2035? ", many would know the day instantly. Most Humans would gasp at what appears to be their computational efforts. But the truth is that computation has nothing to do with it. You see, it's not a formula, and it's not math. The answer already exists, so it is known. You can go to almost any personal computer that is calendar friendly and find that information, because it already exists. It's a concept that has already been developed, produced, and stored. The nonlinear mind works this way. Many with the autistic mind are able to interpret this information almost instantly, because they see the concept. They're not calculating anything. Now you know the difference between linear and nonlinear. The autistic mind is the forerunner of things to come and an anomaly of future Human development. These are the savants of the day, and many of their difficulties stem from their inability to work in a linear world. There's a lot of communication that wants to come to you from all manner of sources, so I'm going to start the list. Let's begin with channelling. Channelling is what you are hearing right now, and my partner has practiced it for 23 years. When he started, it was ugly [using his term], but it is fine now. But you should know that we're not speaking to him in a linear fashion. You hear it from him in a linear fashion, but that's not how we are giving it. You see, he is a master interpreter of nonlinear concepts coming through his pineal. Right now, I'm giving this entire message all at once - our smudge - and he's interpreting it for you so it sounds like a flow of linear words. But it's a single thought group, and I keep giving it to him over and over. You see, we have practiced together, and we've both had to adjust. When we first started, I gave him the concept, the entire channelling, in one smudge. [Lee makes the sound of a single syllable.] Like that! Then he had to remember all of it and give you the channelling. He wasn't very good at remembering, so then we tried something. If we kept giving him the same smudge over and over, he could interpret it in a linear fashion. By the way, I just gave you the secret to mastering intuitive thought. Ask for Spirit to repeat the intuitive message over and over. That should be your request to Spirit when you don't understand what the message was - repeat it! Have that intuitive thought repeated so that you can grasp it and see it for its beauty and its clarity. It may seem like this would be obvious, but remember that free will keeps us from doing anything for you unless you have asked. Spirit does not naturally repeat anything. Repetition is a fully linear concept that you must ask for. We want to meet you in between the linear and the nonlinear, dear one. Do you realize that this is why Spirit has talked to humanity through quatrains and in metaphors since the beginning? That's all we have - metaphors to help you see a message, since we deal in thought groups and smudges. However, the interpretation of these metaphors often become puzzles. People sometimes read scripture and they ask, "Why can't you talk normally, Spirit?" The answer is that we are not linear as you are, and we are talking "normally" for us. Even this very channelling is being given this way. As long as it takes to speak it, all of it is being given at the same time to my partner, a nonlinear smudge, over and over. He is then translating it to you in a linear way. Did you ever hear him tell you at the beginning of a channelling how many parts there would be? He does that many times. The only way he could do that is to already know the entire message, even when he begins it. Do you see? He is reading the smudge. So we begin the teaching: What is this channelling? Channelling is the pineal of the Human opening up and giving communications from what you call The Source. Of course it must also use the Human's culture and experiences, as he/she interprets them and then speaks or writes them to you. Any entity, energy or true communication through the pineal is from The Source. It can have many names or personalities to you, but it is all from The Source. The differences between channellers, therefore, is how they interpret and how clear the pineal is of Human filters [more on this in another channelling]. Channelling is a form of communication that is open to humanity and you don't have to call it channelling. Instead, you might call it whatever you want to, but you should know that every single Human Being is open to learning it if they wish. Through free choice, many are simply not interested, but how about doing it just for yourself? It doesn't have to be an angelic energy or some entity. It can be your own Higher-Self. Many call it automatic writing. This communication occurs through a multidimensional portal that opens through the pineal gland. This information does not come through the brain, as we've said before. This is soul communication and it is multidimensional. It has nothing to do with synapse - nothing. Intuition is soul communication, and it is not a brain function, and that's why it's hard to "pin down", for you are used to synaptic linear thought. It's how you are "wired". Let us speak of the difficulty of this yet again. Anything I'm going to mention from now on in this section is about others communicating to you in this nonlinear way. This kind of communication from others must be interpreted in some way to make it linear. There are many attributes of this kind of communication, so I'm giving my partner a list and he can choose what he wants to talk about within the time that he has. Personal. Let's talk about personal communications. How can you hear what Spirit or any other multidimensional source has for you when it doesn't come to you in a linear fashion? This is hard! My partner gave some answers today, and the main answer is through the practice of recognizing intuitive thought and understanding what is coming from your brain and what is not. It's difficult, at first. Humans want to analyze it or interpret it with intellect. Dear one, do not let the synapse of your brain get in the way of God. Do I have to say that again? With intuition, you must learn to put linear logic aside and let the beauty of nonlinear ideas play on the stage of your consciousness. This may not suit your survival or what your friends think about what you are doing, but it will enhance your life. It's hard to change the way you think. So, what is it that my partner had to learn as the engineer in order to channel? He wanted to analyze absolutely everything! It took years for him to discern the difference between pineal and brain, and then to get out of the way of nonlinear intuitive thought. At first he always wondered if he was "making it up"! Was it from his brain or was it bigger than that? Intuition is also responsible for what you call creative thought - painting, music, poetry and more. So it's no wonder that he asked this question! It's a valid inquiry. So for you personally, dear one, this is what you have to do. Practice knowing the difference. Animals. You love them, don't you? What do you know about animals, especially the ones you care for and love, the ones you call pets? They have personalities, don't they? They can talk to you! When they communicate, what does that sound like, dear one? What do their voices sound like? "Well, Kryon, you already know they don't have an actual voice." Oh really? Then how do they "talk" to you? Now it gets good, doesn't it? They communicate through concepts. Their conceptual thought groups are available for you to pick up. So guess where you pick up these thoughts? It's through your pineal, which is the interpreter of multidimensional things in your body. It's not your brain, which is picking up their animal broadcasts, dear ones. Now, some of you are good at this kind of communication. There are ones who are listening to this right now called animal whisperers, and they know exactly what I'm talking about. Why do they call it whispering? I give you my interpretation. It's because the communications are not linear, and they whisper to you through the pineal and not through brain synapse. It comes in thought groups, very softly and all at once, like the smudge. When you pick it up, you know what the dog or cat or horse or hamster or rabbit is trying to communicate. You know the requests they have, perhaps the distress they have, perhaps the celebration or the love they have. Now, this kind of communication with animals is easy for you, because you all have felt this. I believe you know what I'm speaking about. So apply this lesson, for what I'm teaching today is no different and uses the same process you're going to use in real life and in meditation when you listen to God. "Kryon, is it true that communicating with animals is soul communication?" Yes, it is theirs to yours, and if you're good at the interpretation of their thoughts, then why doubt yourself about the next step? Practice doing this communication with your own Higher-Self. Your Higher-Self is that part of yourself that vibrates higher than your cellular dimensionality, and it's part of your "soul group". This "soul group" is part of the nine attributes of the Human Being and is the core of you. It is the part that gives you information from the other side of the veil from that which you call God. Actions are communication. My partner speaks of the Crystalline Grid and how it remembers Human action, such as what happened in a battlefield in the past. So the energy of the battle is still there, and it is transmitted to you and many can feel it. What do you think about the mechanics of this? This communication from what happened there in the past includes concepts of death, drama and fear. The energy is being transmitted by the Crystalline Grid right to your pineal and it's coming to you via concepts of emotion, not linear communication. Many can feel it and many cannot. Those who are used to feeling energy are the ones who understand and feel this first. Some of you are good at this and you are proud of the fact that you can feel energy wherever you go. You can feel the energy of the group; you can feel the energy of the land and that which is the Crystalline Grid, and you can feel the energy of situations. But what is it that you are feeling? It is soul communication at its best! It is the grid talking to your intuitive self. It does not come from the brain, and it is not intellectual. This is physics. You are picking it up through the pineal, interpreting it, and receiving the information in a nonlinear form. In the case of the battlefield, something has happened on the ground where you are standing, and the energy may take you to your knees. That's communication! However, why is it that the communication that is so personal is the hardest to interpret? It's because the communication is you with you. This is what the teaching is about today - working to open up this concept. Universal communication: When you walk into the forest and the trees talk to you, what is that about? Gaia speaks to you! What does that voice sound like? Am I getting through to you? Do you understand what I'm saying? "Kryon, is it true that in the forest there are what you would call devas?" Here's my answer: Are you kidding? Of course! Yes! You are asking what they are. They are multidimensional aspects of Gaia. I love how Humans deal with multidimensional energies. They "3D-ize" them. When Human Beings cannot understand a multidimensional energy, they make them entities, dress them [put outfits on them in their minds], give them names, and put them in Human movies. They're beautiful! You know they are, and they're everywhere. Go into the forest and they'll talk to you. Sit down in the grass and let them communicate with you. They're part of the energy soup that is Gaia, which is Mother Nature, the personality that is the love of God in nature. Dear one, you're not going to receive bad things from a deva. You're not going to get bad information from hugging a tree. You know that, don't you? What does this tell you about how Gaia feels about you? These are just a few things when it comes to the subject of communication from others to you. A Human Being has a linear mind and linear communication. Because of this, you do not have the necessary tools for multidimensional communication. Now, you can develop these if you wish, and many of you have. But in general, as a Human, you've only got linear communication. So what about you with Spirit? Dear ones, here is the truth: We don't have any trouble understanding you! This is because we are the master interpreters. We know exactly what you're saying and it doesn't matter if you're thinking it or saying it. We know what you are communicating because we're with you all the time. Your Higher-Self, which vibrates above the corporeal-self, knows the psyche of your mind. When you sit down to meditate, we know what you are going to do, because the potentials are there. You're already thinking about it before you do it, and that's what we see. Let me give you some hints about this communication with us. Stop giving us lists of what you want! We already know what you want. Instead, sit and say to us, "Dear Spirit, tell me what it is you want me to know." Dear ones, we're already on board with everything in your life. Do I have to say that again? We're already on board with everything in your life! Come to us and let us talk to you. Just let us talk and try to interpret the thought groups that come first without analyzing anything. Get used to this. But as far as you talking to us, it doesn't matter how you do it. Now, there will be those who will say, "Well, Kryon, there have to be wrong ways of communicating with God." No there aren't! "Well, what do you think about religious groups who have to face a certain direction or have a prayer rug or they have to wear something special in order to worship correctly?" Dear ones, let them do what their traditions tell them in their own culture, for it honors God! Is there anything better than that, to prepare them to talk to us? The same love goes into their communication as does your own. Cultural differences between Humans do not matter to the other side of the veil, for we see a Human as a corporeal representative of a piece of God. All Humans! It doesn't matter what you're wearing or what you're sitting on. Is that clear? There is no wrong way to speak to the creative source. "Well Kryon, maybe there isn't, but I've had a few times where I was yelling at God. What about that? Isn't that the wrong way?" Dear one, we heard you, but we did not hear the yell. The yell was linear. This is hard to explain. What we heard was loving frustration. Loving frustration. We didn't see the anger. You weren't angry; you were frustrated, and that's the time where we want to surround you the most. The more you yell at God, the more angels are around you wanting to hold your hand! The next time you decide to yell at God, would you also open your heart and let us hold you in our arms for a while. Is that OK? In the moments of greatest frustration, where you have no answers at all and you can't figure it out, can you just be held? Is that alright? We're here for that. Old soul, you've got to get used to this communication. It is so available! Actions are an actual language. How you behave talks to the Crystalline Grid and talks to the Gaia grid. What you think talks to the magnetic grid, which we have called the seat of Human consciousness. Without you saying a thing, your actions are another way of communicating to everything and everyone around you. What you say out of your mouth in a linear fashion is heard by your corporeal body. How many self-help gurus have had to tell you that you're going to bring to you what you say out loud? Why is it that hypochondriacs bring to themselves the very diseases that they fear most and talk about? It's because the body hears them and gives them what they ask for. The body is listening, the grids are listening, and even the Human Beings around you are listening. Do you spin in drama? Here we are again with this question. Do you think this is attractive to other Human Beings? Have you ever thought about that? What do you want to show someone about your belief system, your "God within"? Do you wish to show them how out of balance you are and that they should be the same? Think about it. How are you presenting your mastery to humanity? Old soul, what have you learned through all of the ages that you bring to the party today? Is it spinning or is it love? "Well Kryon, that's easier said than done. How do you stop spinning? How do I stop reacting to an unfair world?" I just told you. If you'll open your heart and allow sacred communication, it's going to start a peaceful countenance for and with you. This is called awakening to spirit. It's getting out of the old habits, the old fears, and starting to claim that part of your old soul that is God in you, available to you and to humanity and those around you. Multidimensional communication. Those of you who are good at speaking to the animals have developed thought group communication. You're already on board for the best kind of soul communication there is and you're starting to think outside of the box. You're looking into the animals' eyes and you're giving them pictures, aren't you? They're getting it, aren't they? It ought to show you that this works! Humans can develop multidimensional attributes and characteristics that are entirely consciousness driven, sent through the pineal gland to anywhere they want. There are also helpers around you, and we've told you this. Do I have to list them again? There are benevolent entities and groups all around you. Some are from here [Earth] and some are not. Not just Pleiadians, Arcturians, the Hathors, or those from Orion and Sirius [to name some of the more popular ones]. They are endless! Do you know what they all have in common? Nonlinear thought communications. You can communicate with them the same way you do with animals. Dear Human Being, we're going to open the door to full communication before we close this channelling. We wish to tell you that there is something we want you to know, to realize. Don't let our communication be mysterious! Don't make it strange. I've just given you the attributes of communication to Spirit and from Spirit. In the next channelling, I will continue with another subject: What is it that blocks this communication? What are filters? What can you do to enhance communication? Soul communication is part of what the old soul must learn in order to create balance on this planet and peace on the earth. It begins here and now. It begins with understanding and demystifying the beauty of your relationship with Spirit. There is structure in these sacred things; there is a benevolent system in these things and there is spiritual common sense in these things. We invite you to find it for yourself, for this communication will create spiritual evolution on this planet. It will be led by the very ones who are reading and listening right now. Family, that's the lesson for today. It's beautiful, isn't it? It's beautiful! All we want to do is communicate, and it's time to get on with it. This channelling was to explain how it works. The suggestions today are how to make it better - even the very thing that you hear now, which is channelling. Demystifying, which some have called spooky, unnatural and weird, is the task before you. Just because it isn't linear doesn't mean it's odd. The one that is the greatest of all is love. Can you explain it? Perhaps not. But you can emulate it. Go now and emulate the love of God within you to those around you.